Kitchen cabinets are an essential part of every kitchen remodeling project. 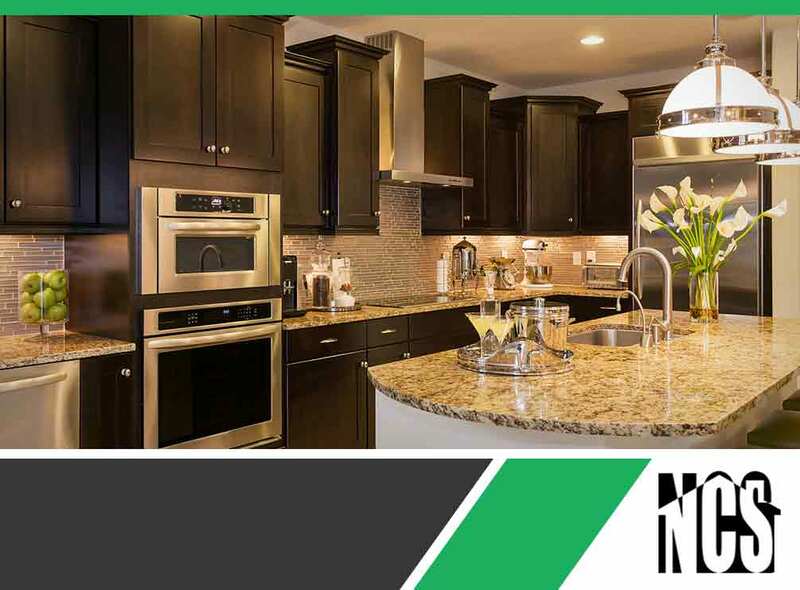 If you’re after a sleek and modern look for your kitchen, home remodeling contractor Northside Construction Services shares some kitchen cabinet color and finish ideas. Stainless Steel – Almost every kitchen has a stainless steel component, and as a kitchen cabinet door, it fits the modern look quite well. Stainless steel works with any color palette, is extremely durable and doesn’t look dated. If stainless steel textures such as brushed steel are available, try to match the cabinet doors to your existing refrigerator or cooktop. Matte Gray – Gray exudes style and sophistication. As a neutral color, it works beautifully with both light or dark backsplash tiles. When refaced or painted by a capable home remodeling contractor, your kitchen cabinets will keep that matte gray finish for a long time. Glossy White – An all-white kitchen will work well with any home style, but for modern kitchens, a glossy white finish works best. White surfaces are reflective, and can help improve the natural lighting in your kitchen. There’s also a wide selection of white hardware available to match to the cabinet doors. Remember that it’s important to choose a quality finish, especially for white kitchen cabinets, as white tends to turn yellow over time. Dark Stained Wood – Dark wood adds an elegant look to modern kitchen cabinets, and works with most kitchen color palettes and textures. Wood grain that’s been stained dark also looks more natural than some wood veneer or all-wood cabinets, which have naturally-occurring wood tones that vary in shade. Applying a dark wood stain over these lighter woods can help keep a consistent look. Glass-Fronted Cabinets – If you’re proud of the quality of your dishes and kitchen equipment, show it off with glass-fronted kitchen cabinets. Glass fronts add visual depth by extending the look of the cabinets beyond their doors. It also makes it easier and more convenient to find what you need at a glance. As a bonus, glass-fronted cabinets can help to keep the contents of your kitchen cabinet organized. To learn more about what we can do for your home, including home painting services, call Northside Construction Services today at (678) 233-2400. You can also fill out our contact form to schedule a free no-obligation home consultation. We serve many areas in and near Alpharetta, Suwanee, and Roswell, GA.